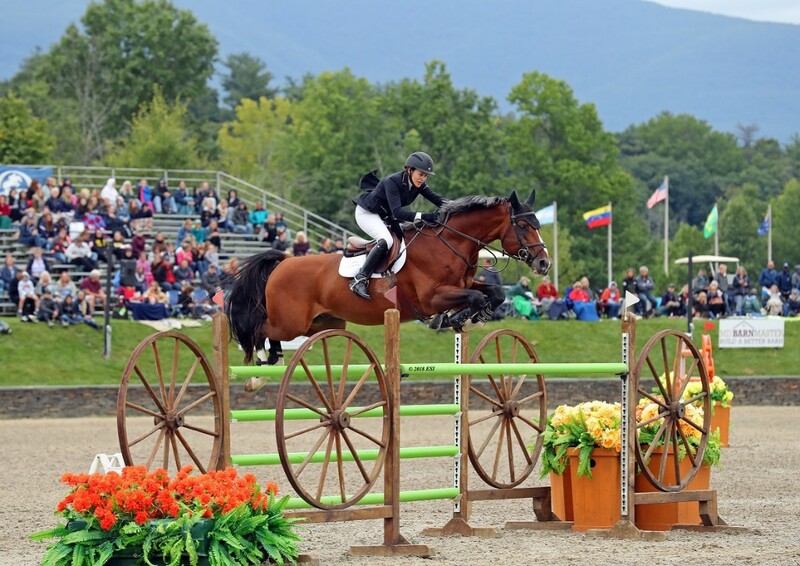 HITS » FEI Riders Win BIG at HITS and Their Horses Love it Too! 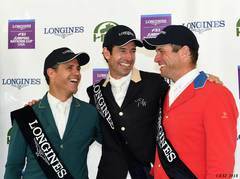 FEI Riders Win BIG at HITS and Their Horses Love it Too! 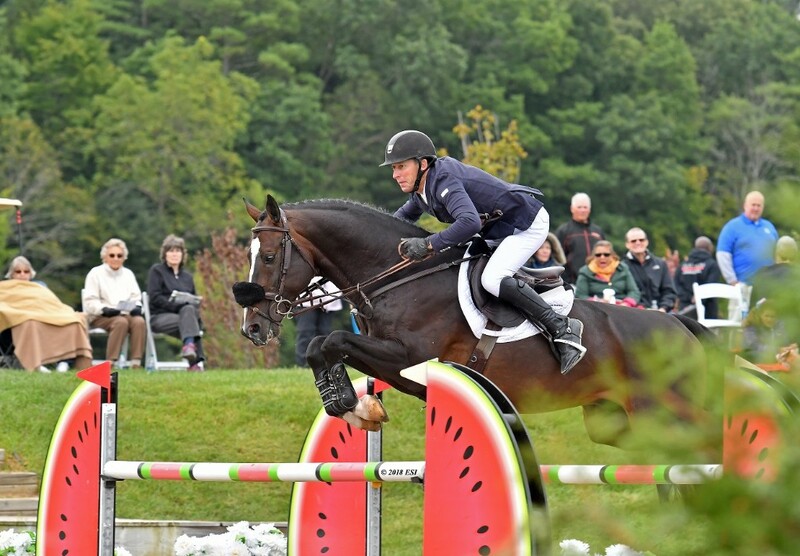 Saugerties $500,000 Grand Prix FEI CSI5*! 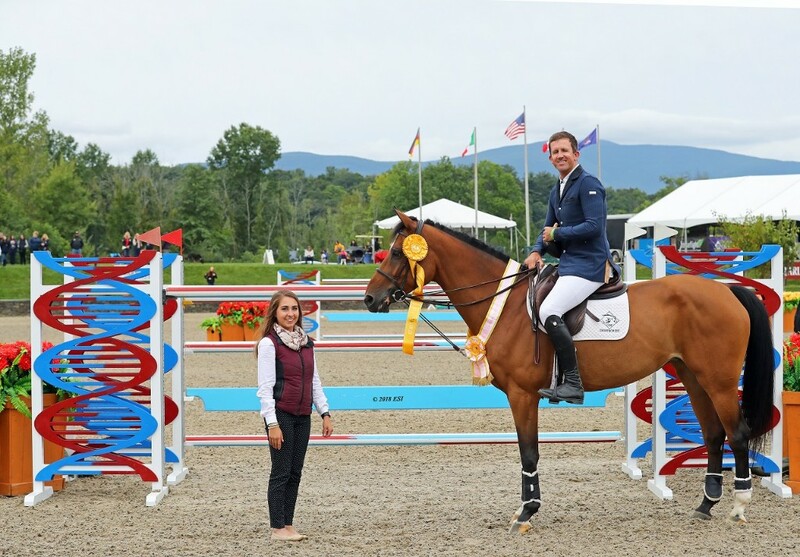 The HITS Championship came to a close with the Saugerties $500,000 Grand Prix FEI CSI5* on Sunday afternoon. Three bustling VIP areas and a full grandstand, coupled with crisp fall-like temperatures made for a spectacular day of show jumping. Marina Azevedo of Campinas, Brazil designed a challenging course that that required riders to be careful and cautious, yet also demanded promptness. 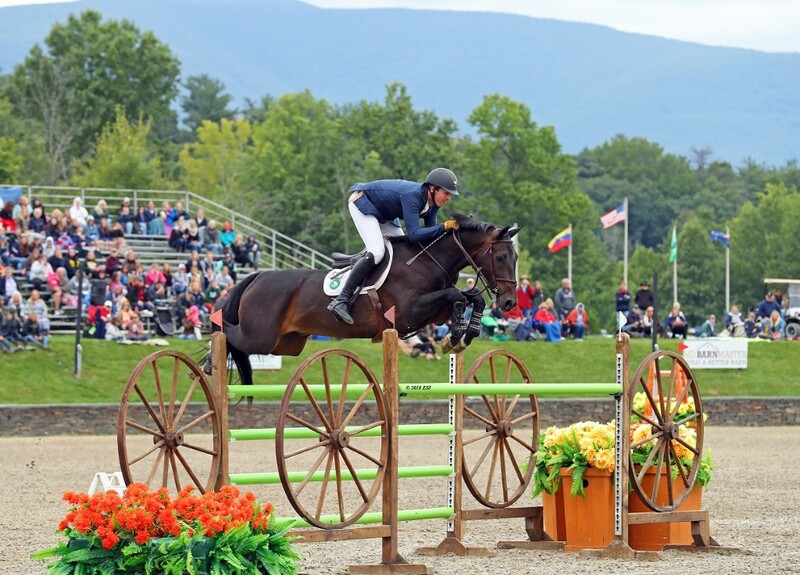 Five of the 35 riders left all of the jumps up, but only two completed the task within the time allowed; it all came down to Jonathan McCrea and Margie Engle. McCrea went towards the top of the order in the first round and was the first rider to jump clean. Returning for the Jump-Off, McCrea knew he had to set the bar high with speedster Engle following him. The jump-off invited riders to gallop, and the footing in the Grand Prix Stadium was in top form for them to show their stuff. McCrea had a great week with a third place finish aboard ARISTOTELESE V in the $35,000 HITS Jumper Classic on Thursday and a second aboard WIN FOR LIFE in the Hudson Valley $100,000 Jumper Classic on Friday to pair with his win yesterday. Coupled with Engle's second place finish yesterday was a win in the $35,000 HITS Jumper Classic on Thursday with DICAS. 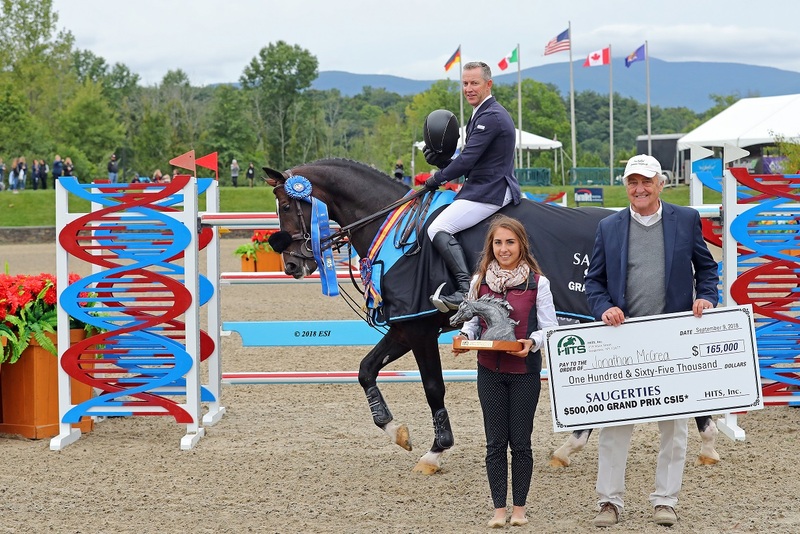 The competitors who would make up the remainder of the top five in the Saugerties $500,000 Grand Prix had all completed the course with no jumping faults, but had struggled to stay within the time-allowed, finishing within seconds of each other. 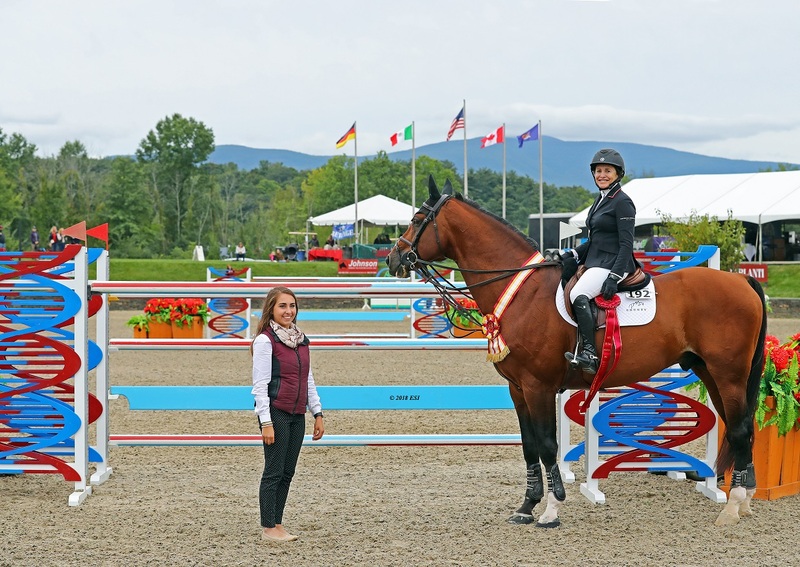 Finishing in fourth place was Adrienne Sternlicht aboard the Starlight Farms 1 LLC entry of TOULAGO. Sternlicht would finish with one time fault, just a sliver of a second slower than Jayne, crossing the timers in 84.13. Rounding out the top five would be Emanuel Andrade aboard his own HARDROCK Z in a time of 84.46. For a full listing of results from the final week of HITS-on-the-Hudson, visit HitsShows.com. Show jumping returns when the “Riders of Tomorrow” join us this week for the Marshall & Sterling Insurance League National Finals.